This book is about the digital transformation that healthcare is facing. It’s not a prediction, not a blueprint nor is it a manual. But it is giving some insights on what is happening to health(care) and how you might best prepare for the future that’s coming. It addresses all levels of healthcare like physicians, nurses, patient’s, family but also IT departments, administrators and governments. As the world spins around at an ever-increasing ‘clock-speed’ regarding developments, this book already is outdated at the moment I’ll publish it. It is also a summary of the 175+ blogs I have written on his LinkedIn Influencer blog for the last three years with 750,000+ followers, that will host also updates on the things to come. 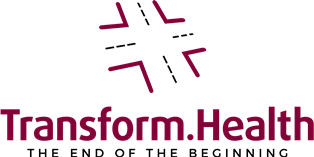 Lucien Engelen is the founding director of the REshape Center for (healthcare) innovation (since 2010) at Radboud University Medical Center in Nijmegen The Netherlands. He is also core faculty at Singularity University’s Exponential Medicine in Silicon Valley (since 2011) and CEO of his own company called Transform.Health, an expert in front-end healthcare innovation and a highly valued and inspirational public speaker on the change of health(care). It takes a global network to unleash the power of exponential technologies in health.